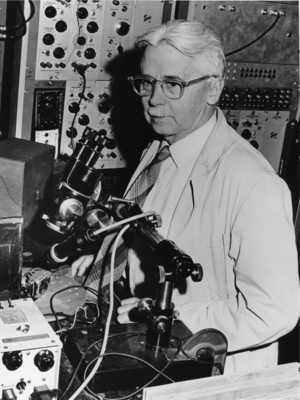 Throughout his career Hartline's research depended on advances in instrumentation and techniques, including the oscilloscope, microdissection, and micropipette electrodes. He was known as a skilled inventor, and worked closely with instrument-makers and electronics engineers. In 1962 Hartline introduced computing to neurophysiologic research when he purchased the Rockefeller Institute's first computer, a Control Data Corporation 160-A, for data analysis.